Happy Friday friends!! 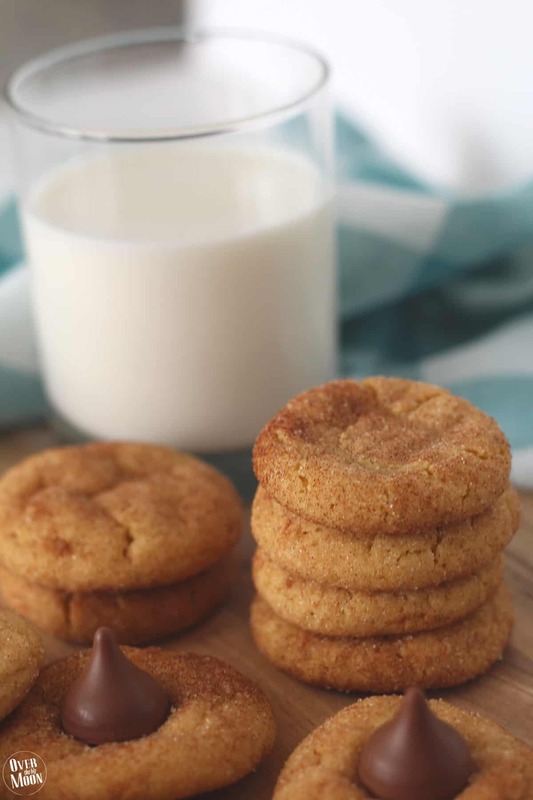 This cookie is a go-to for family events, parties, etc! Without fail my MIL will make it for every party she hosts and it’s my kids favorite from her! 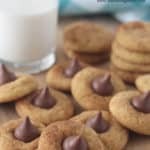 Just the sight of these cookies make my kids think of their Grammy if I make them! This recipe is so quick and easy, because they just use a cakebox for the base! Plus, they’re beyond delicious! 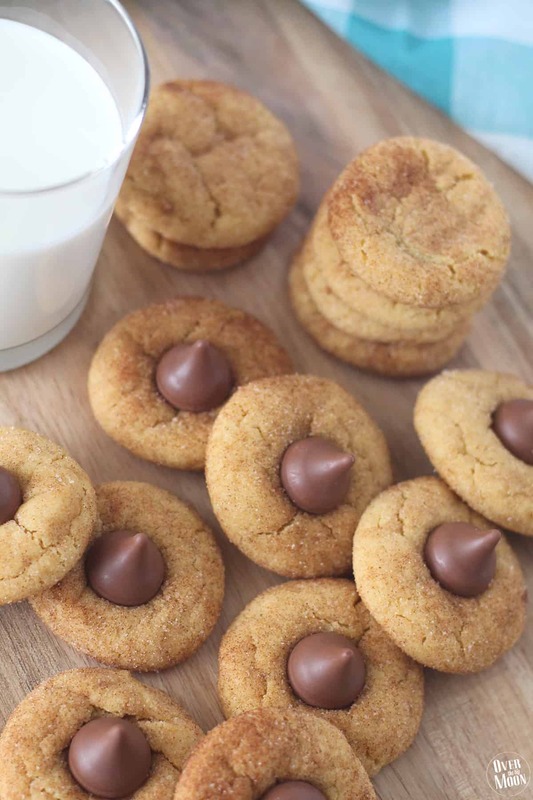 An easy and quick Peanut Butter Cake Box Cookie! Combine the white cake mix, peanut butter, cooking oil and eggs. Mix until combined and smooth. Combine and sugar and cinnamon and mix. Shape the dough into balls and then roll into the sugar and cinnamon mixture. Bake at 350 degrees for approx 12 minutes. Take out of the oven and allow to cool for a minute. 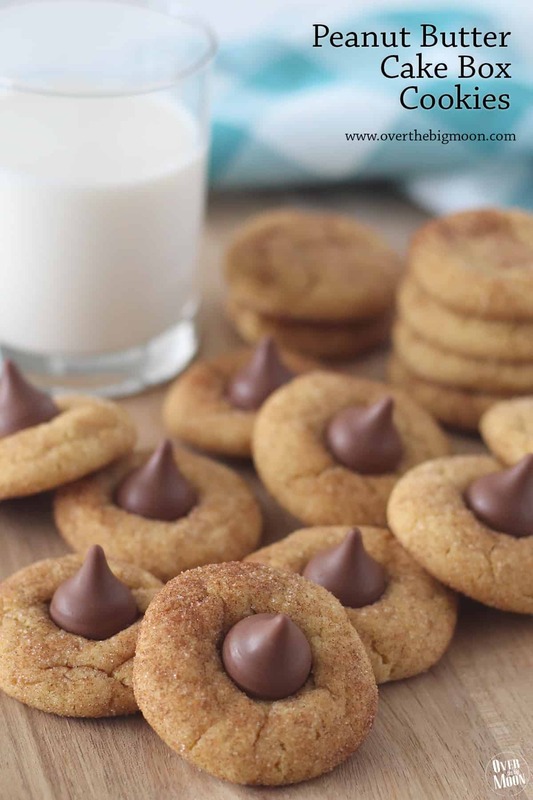 Push the Hershey Kiss into the center of the top of the cookie. You don't want to allow the cookie to cool too much or it will crack when you push the Kiss into it. But, if you put the Kiss into the cookie while it's too hot, the Kiss will melt. 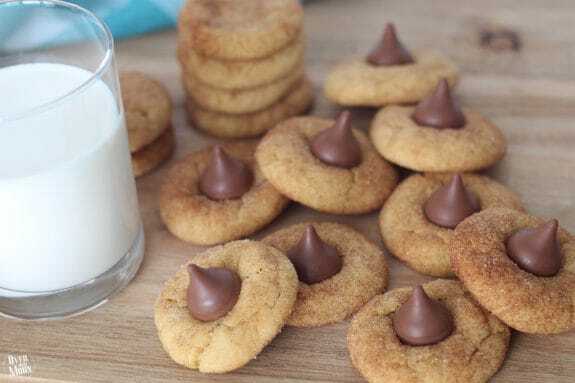 After pushing the Hershey Kiss into the cookie, put them in the fridge or freezer for 5-10 to allow the cookie to cool down and the Hershey kiss to set. 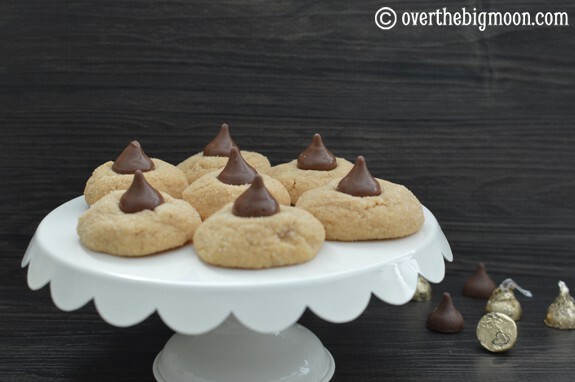 If someone in your family doesn’t love Hershey Kisses, then feel free to leave them off! They’re still beyond delicious! 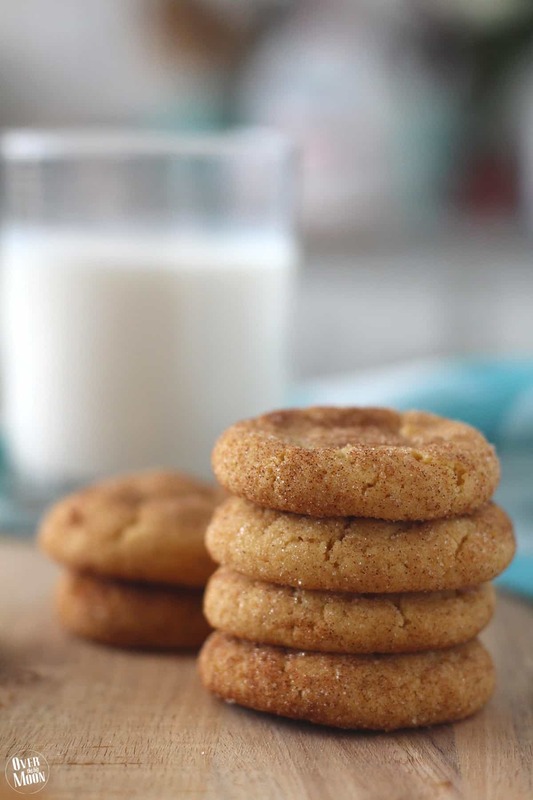 They’re a must try, so put the ingredients on your shopping list!